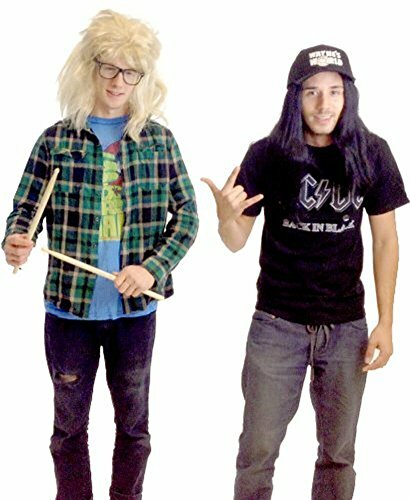 Show off your love for Wayne’s World with this awesome costume set for Garth and Wayne! Includes black wig, blonde wig, Wayne’s World Hat, drum sticks and glasses. Wigs are rip off – you are better off going to a wig store.